A lot can happen in 30 minutes. In our client lounge, time flies right by. In our service bays, specially trained Accelerated Service Technician Teams fit a long list of well-choreographed tasks and inspections into a surprisingly short time. 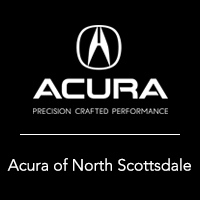 With every Acura Accelerated Service, your vehicle will receive a complete service and a multi-point inspection. All of this performed in 30 minutes or less by Acura-Trained Technician Teams who use Genuine Acura Parts and Fluids. You have the option of a complimentary wash and vacuum that will extend the total service time to just under an hour. The experience starts when you arrive. You’ll be met by a Service Consultant waiting to expedite your check-in. You’ll find it fast and more convenient than ever to wait while your service is being completed. Our client lounge offers quiet, comfortable seating, wireless internet access and complimentary refreshments. Service Packages Listed Below. Call us at (877) 704-2057 for pricing. EQUIVALENT TO 7,500 MAINTENANCE INTERVAL. EQUIVALENT TO 15,000 INTERMEDIATE MAINTENANCE INTERVAL.